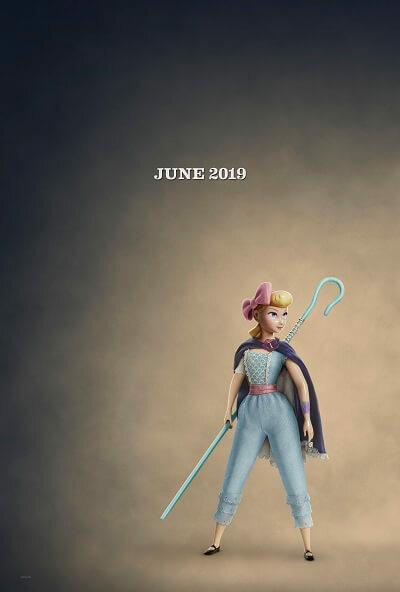 Toy Story 4 will be bringing back another popular character from the Oscar-winning film franchise – Bo Peep. Disney•Pixar confirmed Bo Peep’s return with the release of a poster and a super short teaser video featuring Woody, Buzz, and Bo Peep. Toy Story 4 features the voices of Tom Hanks, Tim Allen, Tony Hale, Keegan-Michael Key, Jordan Peele, Joan Cusack, Wallace Shawn, Pixar good luck charm John Ratzenberger, Blake Clark, Don Rickles, and Estelle Harris. The fourth film of the groundbreaking animated film franchise was produced by Jonas Rivera and Mark Nielsen. Disney’s set a June 21, 2019 theatrical release date.